Interview: Blink. 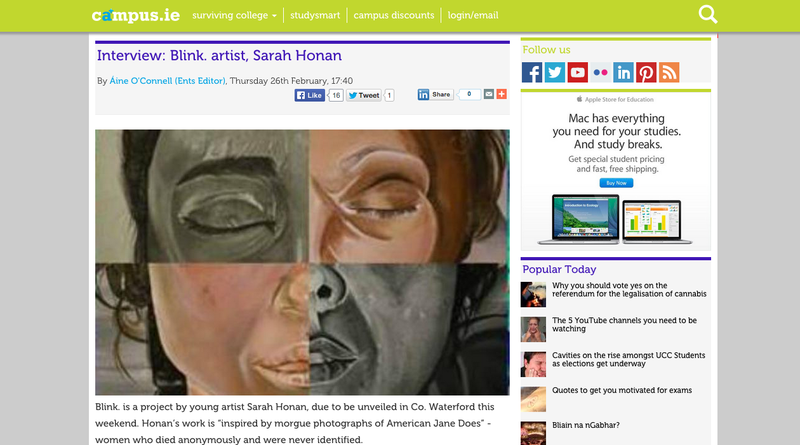 artist, Sarah Honan | Blink. Published March 5, 2015 at 1260 × 701 in Press & Media.